Cigarette smoking kills millions of people each year. Smokers are more likely to develop lung disease, asthma, bronchitis, and cancer. Touted as the smoker’s last best hope, nicotine replacement therapy (NRT) has gained huge popularity over the past decade. This form of treatment includes nicotine gums, patches, sprays, and other products designed to reduce the addictiveness of cigarettes. Unfortunately, it comes with serious side effects that shouldn’t be overlooked. What’s Wrong with Nicotine Replacement Products? NRT products aren’t necessarily good for health. Their side effects include jaw pain, nausea, upset stomach, sleep problems, and allergies. Additionally, they rarely work for heavy smokers. A natural smoking cessation aid, such as the Harmless Cigarette, is much safer and effective on long term. 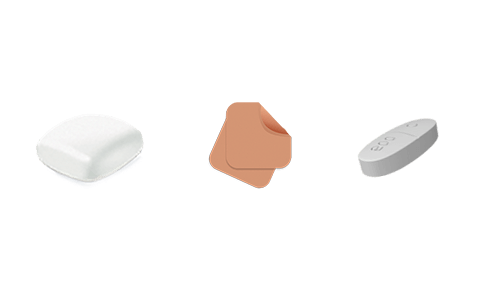 Nicotine patches, which are a favorite choice for millions of smokers, may cause severe allergic reactions, itching, burning, vivid dreams, headaches, vomiting, arrhythmia, and blurred vision. People who use nicotine lozenges often report severe sore throat, persistent indigestion, difficulty breathing, and hives. Think twice before reaching for nicotine gum because it can trigger migraines, irregular heartbeat, pounding in the ears, dizziness, and vision problems. Heartburn, acid stomach, tiredness, and neck pain are common side effects among those who use NRT. Electronic cigarettes aren’t safer either. Many times, they leak fluid, filling your mouth with nicotine and harmful chemicals. On top of that, recent studies show they can lead to serious health issues like heart disease, mouth and throat cancer, asthma attacks, and cardiovascular problems. How Safe is Harmless Cigarette? Compared to traditional nicotine replacement products, Harmless Cigarette is natural. 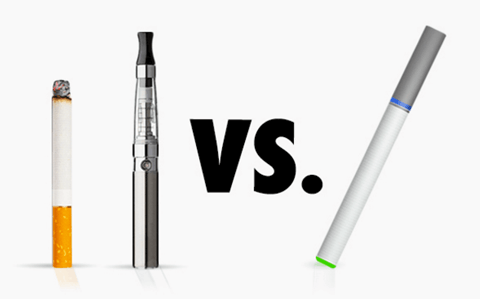 It contains no nicotine or harmful liquids, and doesn’t produce vapor. This non-electric, smokeless device curbs nicotine cravings without the side effects associated with NRT. This cutting-edge smoking aid satisfies both the mental and physical “hand-to-mouth” addiction linked to cigarette smoking. It looks and feels just like the real thing, so you won’t even notice the lack of nicotine and tobacco. On top of that, it’s easy to use and makes quitting a breeze. If you’re ready to stop smoking for good, try Harmless Cigarette today! Harmless Cigarette™ focuses on satisfying both the psychological & physical “hand-to-mouth” addiction which most smokers find difficult to overcome when quitting. 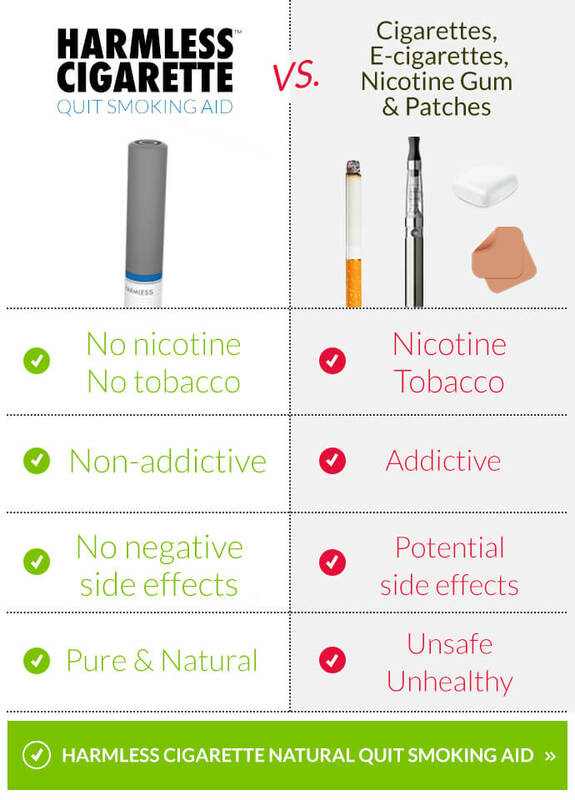 Harmless Cigarette™ can be used by itself or together with other (NRT) nicotine aid products, and it will not increase your dose of nicotine since Harmless Cigarette is 100% nicotine-free. Harmless Cigarette™ focuses on satisfying both the psychological & physical “hand to mouth” addiction which most smokers find difficult to overcome when quitting.